Jala Neti (the practice of using a neti pot), is an important part of Yoga Shatkarma (The yogic system of cleansing the body). The Hatha Yoga Pradipika attribute many beneficial effects from neti pot use that range from profound physiological ones on the body, mind and personality to even clairvoyance. Medical uses include; chronic sinus and nasal symptoms, chronic rhinosinusitis along with adjunctive therapy, chronic sinus symptoms induced by work-place exposure to sawdust, hay-fever, the common cold (helps relieve symptoms), allergic rhinitis, and chronic sinusitis. NO ANTI CAKING AGENTS, IODINE OR ADDITIVES. Enough sea salt for 116 jala neti mixes. No additional freight charges for the salt as the parcel is under the Australia Post 500 gram weight limit. Shipping is within Australia only, international distributorship enquiries are welcome. 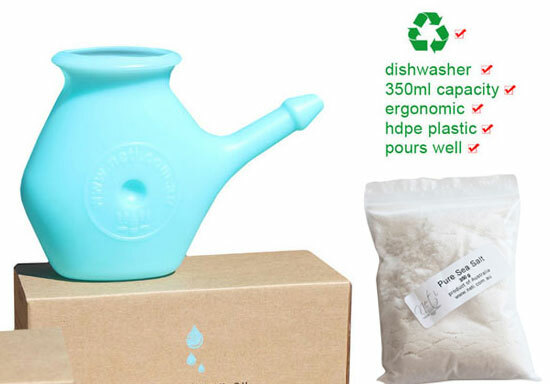 NETI POT 350ML CAPACITY Made from durable, food grade, recyclable HDPE plastic. These neti pots are excellent quality, with a comfortable ergonomic design that flow freely when poured. Shipping is within Australia only, international distributorship enquiries are welcome . 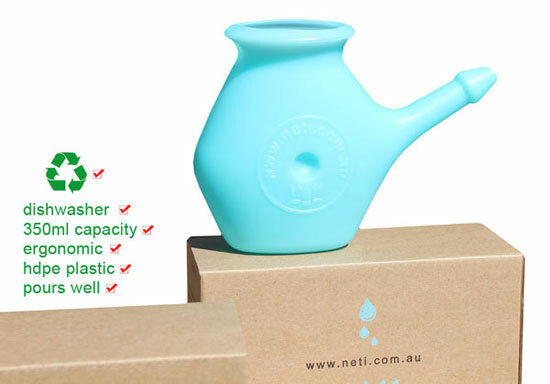 Our neti pots are made to be UNBREAKABLE and hopefully last a lifetime, watch the video below. 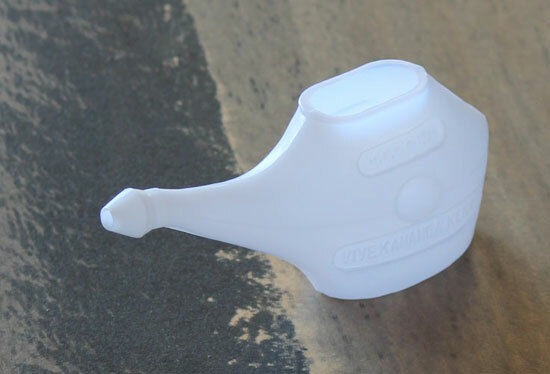 170 ml capacity neti pot made from White translucent plastic, poor quality but does the job. Pours well, ergonomic design,durable, lightweight and travel friendly. $8.95 freight/packaging Australia wide for UNLIMITED QUANTITY within Australia. Shipping is within Australia only,international customers please contact us for shipping rates. solar evaporated sea salt perfect for jala neti! 450 grams of PURE FINE GRAIN SEA SALT, WITH ABSOLUTELY NO ADDITIVES. This salt is perfect for jala neti. 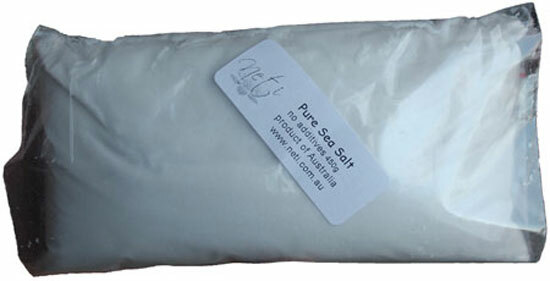 Australian made solar evaporated sea salt sourced from the Pacific Ocean off the coast of Australia. 450 grams of salt should last for 150 days if performing neti once a day and using 3 grams of salt in your neti pot. Sorry about freight costs, please write a complaint to Australia Post/ the Government.... they are killing me!